Tracking game events can sometimes be a tedious chore, and Warframe, one of the biggest free-to-play cooperative online games, has a plethora of it. Being able to stay on top of the latest events by using a single application can be a godsend, and Richard, a software developer from Manchester, thought of just that with a Warframe Alerts App. 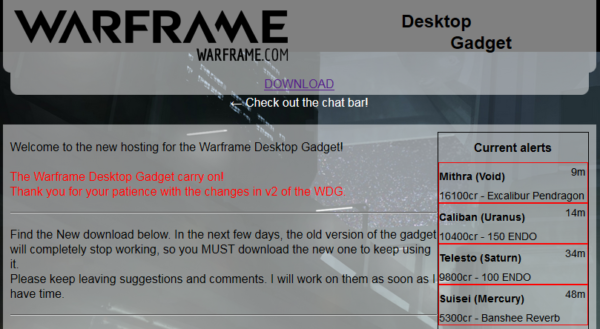 Richard’s Warframe Desktop Gadget can be downloaded by clicking here. This Warframe Alerts APP alerts you of game events such as Outbreaks and Invasions, and it has filters & tabs that you can work with in order to make hassle-free searches for the latest activities. The app is easy to use and is light on installation. We talked to Richard about his app about the challenges he encountered while creating it, some of his favorite games and programming tools, as well as some prime tips for playing Warframe. We’re positive app creators and Warframe enthusiasts out there will definitely pick something up from our interview with Richard. My name is Richard Kille (pronounced “kill”), I’m 32 and I work for a software development company in Manchester. I often go by the handle SpiritofNight online. I’ve been an avid PC gamer for most of my life, though I have dabbled in various consoles. My favourite game… now that’s a really hard question. I’ve been binging Stellaris recently, though I always come back to Warframe periodically. Having found myself without decent quality internet recently, after having moved house, I’ve been playing Dishonored 2 and Skyrim VR. (2) How does it feel to be the creator of something big for this game? Honestly, I think it was one of my biggest, proudest achievements. I was freelancing at the time, and work was patchy, it was an amazing feeling when something I built largely as a personal project became so popular. I’m really grateful to the community for the really positive feedback I got while it was in its infancy, and the support as its features grew. It really made me proud to be a part of such an amazing group of people, and to be able to put something back into a game I love so much. (3) What was your inspiration to create a website specifically for this game? When did it cross your mind that it would be a good idea to create your website? I guess it must have been after one of the dev stream events in the fairly early days of the game. They often did (and still do) bonus events immediately following a dev stream or large update, which often back then came in a quite short-lived Alert Mission with some fairly desirable rewards. Nowadays, those missions last at least 12hrs, but at the time, those rewards were often quite short-lived, maybe only a couple of hours, and it was really disappointing to miss them. So I thought to myself: “there’s got to be a way to make sure I don’t miss those, even when I’m not in the game”. I dug around in the forums, because I had seen mentioned previously that there was an RSS feed of game events, and so I put together a small program to pick up any new events with a reward which wasn’t just credits and play a simple noise. This was the very first version of the application born, only for me, and on a completely unstyled program which ran on my desktop. It’s come a fair way since then! The RSS feed doesn’t exist anymore, as far as I’m aware, and it’s now powered by the @WarframeAlerts twitter feed. (4) Do you work independently or as a team? If so, how big is your team? In all my personal projects, including the Warframe Desktop Gadget, and its associated website, I’ve always worked alone, with the support of the community, who were always happy to beta test my latest updates. (5) From the developer’s (as well as the gamer’s) perspective, how do you think the website affects the overall experience of the game? In the beginning, it was a huge step. There weren’t any other real competing apps which provided the same functionality, and it meant that people could have access to the Alerts (short-term availability missions) they wanted to, even if they weren’t actively logged in. I built it for myself, and only released it into the community once I had a stable distributable version, but the response I got was very positive. 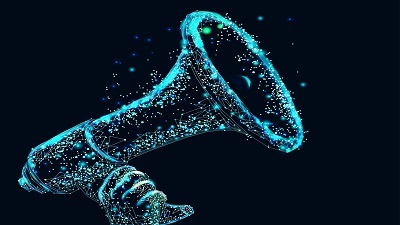 I was concerned when I first released it, that it might detract from the active user base, as people would no longer need to be logged in to see those events occur, but I feel that the users who will log in as a result of added visibility to the events system more than outweighs that possibility. (6) Is there any margin for error when it comes to the website’s performance and provided information? There are still a couple of kinks that I never managed to iron out. I got a full-time job near the end of development and didn’t have the time to dedicate to fixing some things. Invasion events are still not properly tracked, and that’s something I’d like to fix, especially now I know that the app is still in use! I wanted to keep the look-and-feel in theme with Warframe itself. With permission from DE, I picked some elements, imagery and sounds out of the game client, and websites, which made this theming much easier. 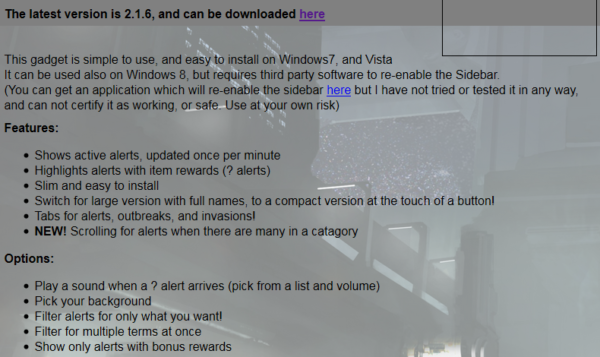 Part of the design was a learning experience for me, I was fairly new to the technologies involved, especially the Windows Sidebar platform, and I wanted to make the system as user-friendly as possible, whilst retaining commonalities between what people are used to with both Warframe and the Windows Sidebar (widget) platform. Merging the two was an interesting challenge, but I have always enjoyed a new technological challenge. If I redid it now, I’d probably end up using a dark-themed Material set up, with a view to integrating with more platforms. I have much more experience now than I had back when I first started. The desktop Gadget is the core of the design, paired with the website to provide the data. (10) Are you expecting the game’s expansions to change your website’s dynamics and performance due to game balancing? Is it something that you’ve already prepared for? It’s possible that new alert types will come out, and that the current format may change; but with the number of apps using a similar approach to mine, it would be a risky move from the game makers to change it at this stage. New alert types are the most likely to be a significant change, and I can accommodate for that. Since I built it in the first place, I’ve gained an understanding of how Discord and Slack bots work. No promises, but keep your eyes out for updates. Unfortunately, very few games expose the kind of consistent data required to be able to produce this kind of app. If more provided a public API, RSS feed, or dedicated Twitter feed in the same way, then I would definitely consider it. I’ve got an ongoing project for a game called PoxNora which does provide all of its functional game data in this way. I guess the best advice is to try out everything until you find something you really enjoy, there’s so much cool stuff in the game. Don’t miss out on the alerts, especially Orokin Catalysts and Orokin Reactors – but don’t use them until you have at least one spare, or it’s a weapon or Warframe you really get on with. During the early levels, don’t be afraid to take cover and let your shields recover, If you team up with higher level players, you will see them recklessly charging into situations that you just can’t handle yet. Don’t worry, you’ll get there. Redirection is by far the most important mod to max first. Shields mean survivability, with the exception of a very few frames, they are your very first line of defense between you and the enemy. Don’t hesitate to ask the community, they are fantastically helpful. (14) Any advice you’d like to share to aspiring game app or website developers? Your first few projects should be something you care about, either something which will help you or something you want to be done better. The same advice applies to developers as it does to new companies: do one thing and do it well. Keep your apps simple and have them do one thing very well before you consider extending them to do more things. Don’t forget to show some love and support for Richard and his Warframe Desktop App by downloading it.